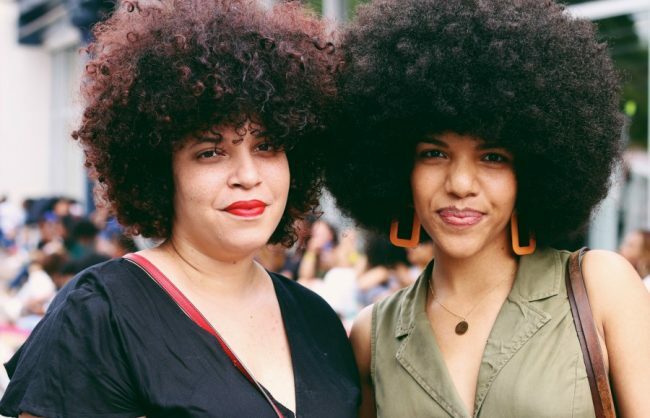 So you’ve put lots of tender love and care into your curls and kinks, but are thinking it’s time to switch things up and take a break from having to detangle. A blow out or a silk press are options you’re considering, but you’re worried about how adding heat might affect the health of your hair. 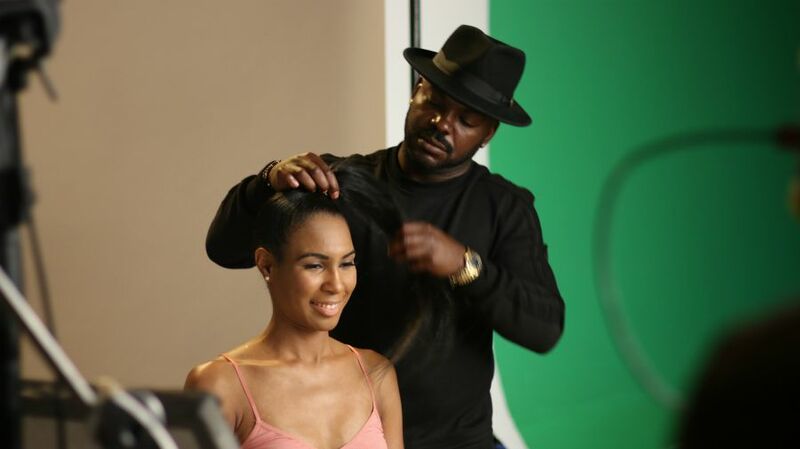 Luckily, there’s a safe way to straighten natural hair and avoid frizz and we’ve enlisted Smooth ‘N Shine celebrity stylist Larry Sims (whose client list includes the likes of actress Gabrielle Union, Mary J. Blige and tons more of our fav celebs) to share how. 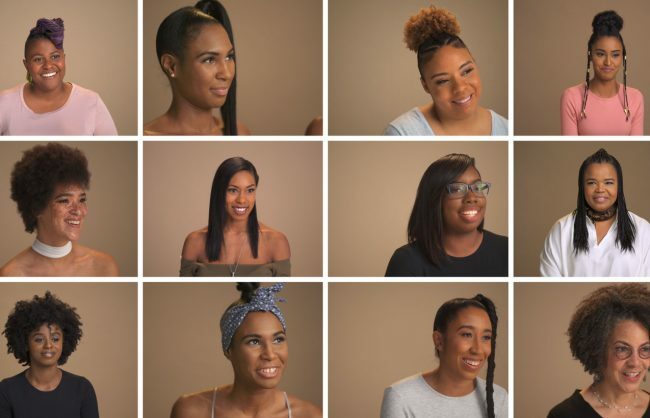 What’s the safest way and safest temperature to straighten natural hair? Always use a polisher or heat protectant, and also make sure you don’t use any heat that’s more than 425 degrees. Smooth ‘N Shine’s Straightening Polisher is really great. I would use that to just coat the hair before you put any heat on it. It gives the hair a really smooth and slick finish. Is there a way to avoid fumes that are created when I blow out my hair after I put product on it? If you see fumes or smoke coming from your hair when you’re applying heat, the problem is the amount of product you’re using on your hair and/or the ingredients the heat protectant has. You want to make sure you’re not using a super heavy heat protectant. Use a heat protectant that absorbs water versus laying on top of water, which is the moisture in your hair. That’s what creates fumes. Use just a tiny amount of heat protectant. Larry on set of our “Black Hair Is…” shoot. How often is too often when it comes to straightening natural hair? Once a week, or once every two weeks is even better. Once your hair is straight, it’s best to just sort of allow it to morph into whatever texture it’s going to after you’ve straightened it. Definitely allow at least seven days without heat. What products can I use to help repair any heat damage? I would use Smooth ‘N Shine’s new Deep Recovery Treatment. What’s a great product for keeping frizz away? Definitely Smooth ‘n Shine’s hair polisher. And for when I want to go back to curly, what products should I use to keep my curls defined? The Smooth ‘N Shine Curl Defining Gel is really great for definition and the Curling Mousse is really great for moisture. Okay, before we go can you share what straight looks you’re into right now? I like straight bobs that are cut right at the chin. I really love those. I also love a simple part down the middle, bone straight Pocohantas look. And what about curly ones? I’m really digging, and I’ve done it with a lot of my clients, big curls with a curly bang, that’s really dope. P.S. See Larry in action and learn how to do a perfect twist out in our Black Hair Is… tutorial videos. 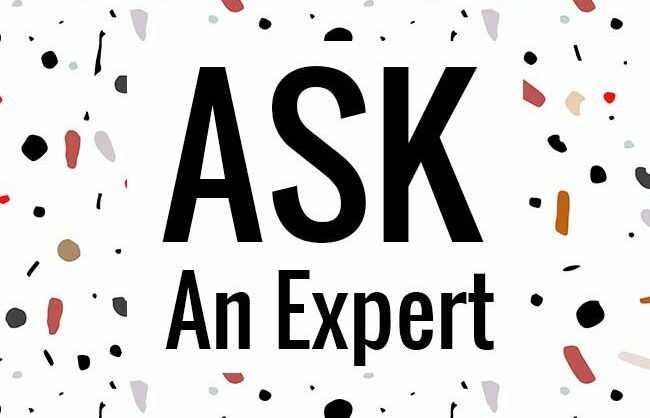 Ask an Expert: How Can I Treat Thinning Edges and a Dry, Itchy Scalp?